Whenever someone starts a discussion about drugs, everybody brings up the more famous or popular drugs like ecstasy, marijuana, heroin, cocaine – they are tending to achieve more media coverage. But while everybody considers these as only drugs, people are getting addicted to medications that they don’t even notice that it is making them addicted, mostly they become addicted to opium. There is a prescribed painkiller, that is used by many people, but a pathologist Prof. Jack Crane from Northern Ireland’s state said that “it has taken far more lives than any other drug – including cocaine and heroin”, it is the painkiller known as Tramadol. You might not recognize it by this name, but you surely have heard of its brand name like ConZip or Ultram. This is a prescribed medication mostly, and it is working exactly the same as a narcotic, and it is mostly used by people that are dealing with chronic pain, when they have no other solution, but to consume it. Most commonly it is prescribed after heavy surgeries, and it is prescribed in an extended-release form, because that is the only way to treat the chronic pain. When you consume Tramadol, it works by targeting the area in your brain where the central nervous system is located, and it disables it. After you consume Tramadol your body doesn’t respond or feel any pain. But if you take the Tramadol as it was prescribed by your doctor, it will not cause any harm so ever. But most people are taking Tramadol in combination with other drugs or alcohol, and in that case this narcotic painkiller has hallucinating effects. 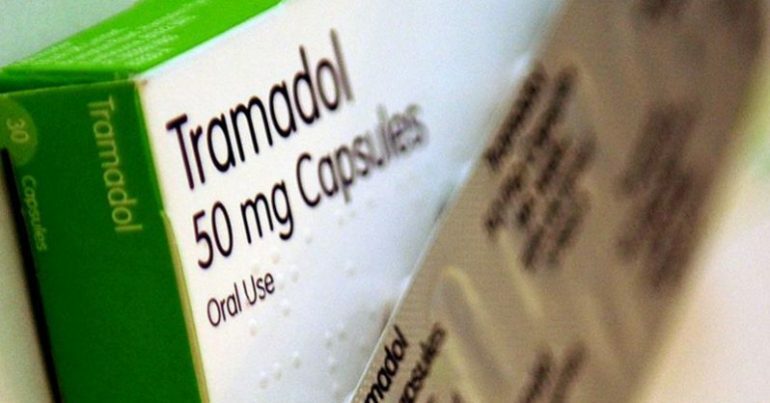 Last year more than 33 deaths were linked, to the use of Tramadol in Northern Ireland. Prof. Crane said “I don’t think that people realize the risk of taking tramadol. But I think that people are feeling safe when taking it, because the painkiller is prescribed by their doctor, and they forget that it is a narcotic”. It is the thing we need to be aware the most, it is easy to think about the pill that offers you pain relief and that being the only thing in your mind, you would take it right away. But knowing the side-effects of it, would you still take it or would you think twice? Patients become addicted to this narcotic – like pain relieving. Looking at the structures, tramadol is very similar to morphine and codeine. If it is consumed in larger doses or incorrectly it can cause psychological and physical damage as well. Since this narcotic is addictive, people who better start consulting their doctor, even before they think of consuming it! The patients that use it, suffer from very dangerous drug interactions. As we mentioned above in the article, combining this narcotic painkiller, with other substances like drugs and alcohol can be very dangerous and harmful for your health in general. One of the most important rules, for someone who have decided to take tramadol, they shouldn’t mix it with substances like alcohol, tranquilizers, sedatives and many other narcotic medications. In many countries there is a lack of drug control. Thankfully, the Drug Enforcement Administration (DEA) in the U.S has changed the classification to the schedule of IV drug, back in 2014. Before that only several states controlled the usage of this drug, but now in all 50 states, it is a controlled substance! The strong painkillers were never made for that purpose, to treat chronic pain. In countries such as the U.S, they must have laws to control the selling and intake of tramadol, but they can’t it is too alive. Which is why in Northern Ireland in 2014, they’ve made the tramadol to be illegal without a prescription. And even then, people used to find a way to get to the drug and consume it. But many individual like prof. Crane are making a lot of pressure, for the drug to be reclassified and make the limitations even stricter. But as the old saying goes, where ther’s a will, there’s a way. When you think for a bit, there are many other ways to treat pain, besides these strong painkillers and drugs, and the other ways might be completely drug free and offer a better pain relief than the painkillers!